How dangerous is Pittsburgh’s lead problem? The data is contradictory and the damage could be worse than officials say. By now, we know quite a bit about Pittsburgh’s lead in water crisis. But there are things that remain a mystery. We know about the 2014 switch from soda ash to caustic soda that caused lead levels to spike, but we don’t know who ordered the switch in corrosion control. We know there is a lawsuit between the City of Pittsburgh and the former manager of its water supply, Veolia North America, in which the city is alleging mismanagement, but the argument is taking place behind the closed doors of an independent arbitrator somewhere in Pittsburgh. We know that the authority has been in financial trouble for years and the city wants to restructure it, but it’s too early to say what the restructured water authority would look like. We still don’t have an answer to the most critical question: What health effects could have come from the illegal switch to cheaper corrosion control treatment? Caustic soda was used in Pittsburgh's water supply from April 2014 to January 2016 despite a longstanding requirement by the state Department of Environmental Protection to use soda ash. Veolia managed daily operations at the Pittsburgh Water and Sewer Authority [PWSA] from summer 2012 through the end of 2015. The switch is believed to have caused lead to flake more rapidly from aging lead service lines across the city and is overwhelmingly seen as the culprit for recent lead level increases in city tap water. PWSA estimates that 20 to 25 percent of city homes have lead service lines. Lead is a neurotoxin, and young children are most vulnerable to its negative effects. The cognitive effects of lead exposure are irreversible and even low levels of exposure are associated with lowered IQ. During Veolia’s tenure, PWSA was under an EPA testing regimen that mandated systemwide lead tests in homes once every three years. One round of testing happened in September 2013, before the April 2014 switch, and the agency did not test again until June 2016, five months after the corrosion inhibitor was switched back. Absent any official water testing data, elevated lead levels could appear in the blood lead levels of children in the affected area. In Flint, Michigan, state officials initially denied a problem with lead in water until a local pediatrician conducted an independent study of blood lead levels in local children. The results forced the state to acknowledge that a switch in the city's source water caused a public health emergency. Such a study has not taken place in Pittsburgh. Both Mayor Bill Peduto and the Allegheny County Health Department (ACHD) say that lead in the water has never been the primary source of lead toxicity in children, but data from the health department and potential flaws in testing procedures cast serious doubts on that assertion. The majority of a child's lead exposure typically comes from lead paint and its dust from older houses. 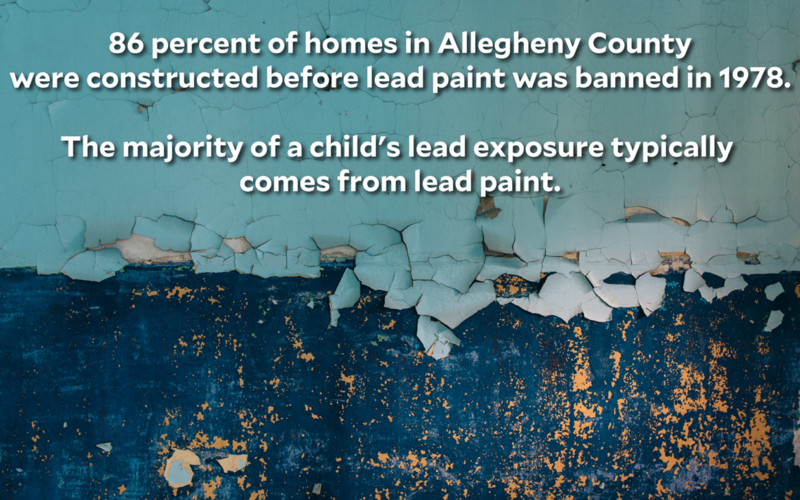 According to the ACHD, 86 percent of homes in Allegheny County were constructed before lead paint was banned in 1978. One exception is infants who primarily drink formula: 40 to 60 percent of their lead exposure may come from tap water. In a phone interview with PublicSource, ACHD Director Dr. Karen Hacker reiterated the Health Department's stance that lead in water has never been the No. 1 culprit of elevated blood lead levels in our region. These claims do not sit well with Dr. Marc Edwards, a world-renowned water quality expert and a professor of civil and environmental engineering at Virginia Tech. “I can tell you that given the levels of lead in Pittsburgh's water, that statement defies the laws of chemistry and biology and physics. You can't have children drinking water with that much lead in it and not show significant elevations of blood lead,” he said. Edwards is in a unique position to comment on this matter. In 2015, Edwards and a team from Virginia Tech launched an independent investigation that uncovered high levels of lead in Flint’s drinking water at a time when officials denied a widespread problem. He also conducted the definitive blood lead study, demonstrating harm to children from the 2004 lead crisis in Washington, D.C. Voluntary home lead testing data from 2016 released by PWSA shows about 11 percent of 3,057 area homes tested above the EPA’s 15 parts per billion [ppb] action limit, and 70 homes came in at twice that level or above. Data provided by ACHD appears to contradict that claim. 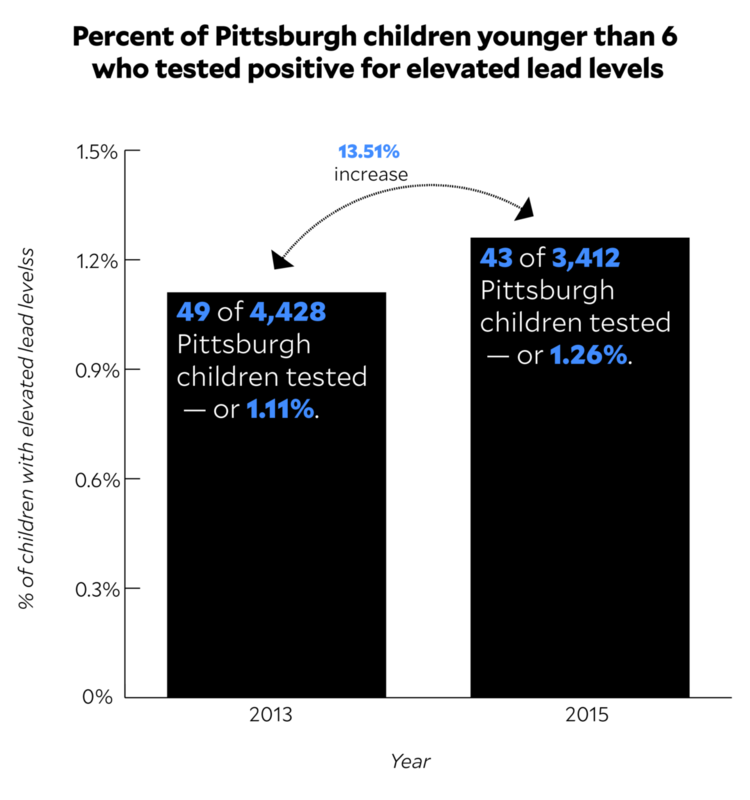 At the 10 µg/dL (micrograms per deciliter) blood lead level or higher — the ACHD's threshold to trigger a home lead inspection — the number of tests confirming elevated lead levels in Pittsburgh children younger than 6 fell from 49 to 43 from 2013 to 2015. However, during that same time, the number of lead tests conducted in the city fell by more than 1,000, from 4,428 to 3,412, meaning that the total percentage of children in Pittsburgh with elevated lead during the time of the chemical switch slightly increased, from 1.11 percent to 1.26 percent. During that same time period, confirmed elevated lead cases in Allegheny County, excluding the city of Pittsburgh, dropped from 0.62 percent to 0.52 percent to 0.36 percent. The difference between the city and county is of particular concern as PWSA serves 80,000 households in Pittsburgh but none outside city limits. If lead spiked in PWSA's service area it could explain why the percentage of cases increased in Pittsburgh while decreasing in the rest of the county. Data at lower lead levels correspond to the nationwide trend of blood lead decline. Between 2013 and 2015, the percentage of children younger than 6 who tested within the 5-9 µg/dL range fell from 4.4 percent to 3.3 percent in Pittsburgh and 1.7 percent to 1.3 percent in Allegheny County. The ACHD has proposed universal lead testing in children in Allegheny County. Currently, children on Medicaid are required to have lead tests but only a fraction of children are tested for lead. 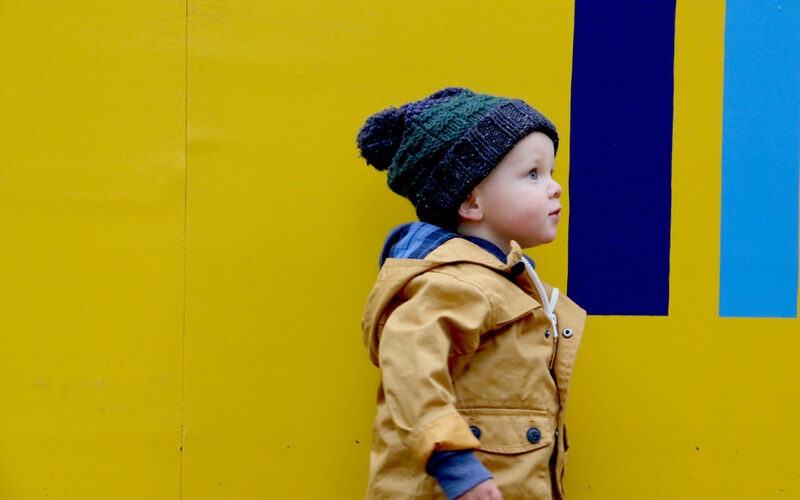 According to the Pennsylvania Department of Health’s most recent Childhood Lead Surveillance Annual Report, 15.5 percent of children younger than 7 in Allegheny County were tested for lead in 2014. In Pittsburgh, about 39 percent were tested. Edwards is critical of the “first draw” sampling procedure the EPA requires agencies like the ACHD and PWSA to use in lead tests. Lead in Pittsburgh water is believed to come from service lines outside the house, but the first draw sample captures water that has sat inside the faucet and interior home plumbing. In December, Hacker wrote to the EPA and cited the same white paper to support calls for a “health-based action level that would link the science to health effects.” Despite acknowledging the flaws in these tests, she continues to use them as the basis for her claim that no child in Allegheny County has elevated blood lead levels primarily from water. “Derelict in its duties.” That’s how County Controller Chelsa Wagner characterizes the local government’s failure to address Pittsburgh’s lead crisis. The full extent of this manmade, preventable crisis may never be uncovered. But a formal study of the existing blood lead data, though still limited, could be a next step. PublicSource Interactives & Design Editor Natasha Khan built the graphics for this story. Brian Conway is a Pittsburgh-based freelance writer. He can be reached at brian.conway@gmail.com. The Pittsburgh Water and Sewer Authority [PWSA], plagued with an ongoing lead crisis, may finally have lead levels under control. New data, independently analyzed by PublicSource and verified by the state Department of Environmental Protection [DEP] on Wednesday, show that lead levels in Pittsburgh’s drinking water are going down, a sign that the authority’s efforts could be paying off. President and CEO of Peoples Natural Gas Morgan O’Brien has a grand plan for the Pittsburgh Water and Sewer Authority. And, in spite of skepticism from some officials and recent opposition from local activists, he wants you to trust him. The Pittsburgh Water and Sewer Authority had a rough 2017. Remember all those boil-water advisories? Partial lead line replacement controversy? News about fee hikes? The year ended with a state consent order that included a multimillion-dollar fine. The intensified scrutiny that comes with a consent order, though, may be just what the water authority needs to have a more orderly and productive 2018. I’m confused why this isn’t of higher concern in Pittsburgh? When lead was found in the water in Flint, a disaster of similar proportions (thank you, Veolia), it was declared a state of emergency.